SCVHistory.com | Newhall | Petroliopolis, May 1877: Pico Oil District; Refineries at Lyon's, Andrews. Petroliopolis: Pico Oil District; Refineries at Lyon's, Andrews. San Francisco Chronicle | May 28, 1877. 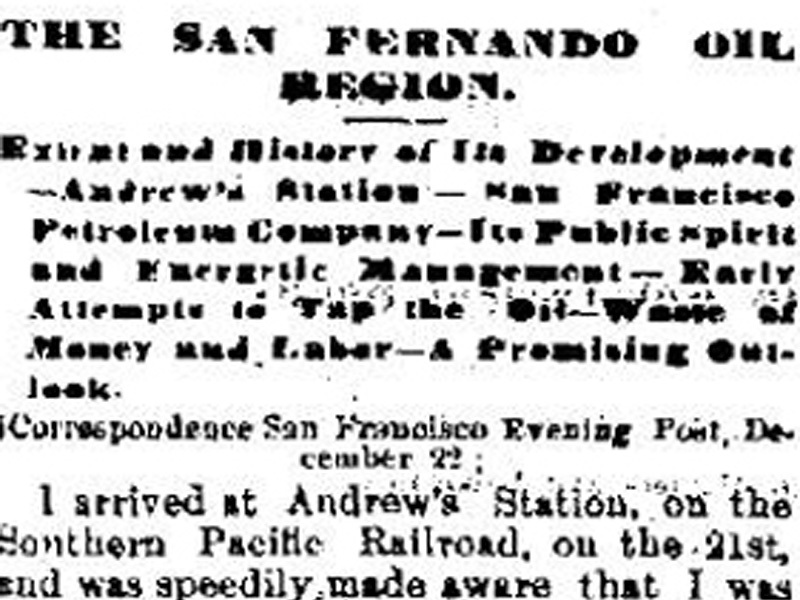 Historian Stan Walker summarizes: In May 1877, Andrew's Station (which was not a Southern Pacific train station) contained a telegraph, a Wells, Fargo agent and a postmaster. A siding 1,000 feet from the still-under-construction Pioneer Oil Refinery was built by the railroad. There is no spur yet. The refined oil will be piped down to a barreling house, soon to be built. The barrels can then be loaded onto the railroad cars from that point. The Lyon's Station refinery (at today's Eternal Valley Cemetery) is still being used. There is a Southern Pacific railroad depot in Newhall, but not too many people. A Short Trip Through the Pico District. 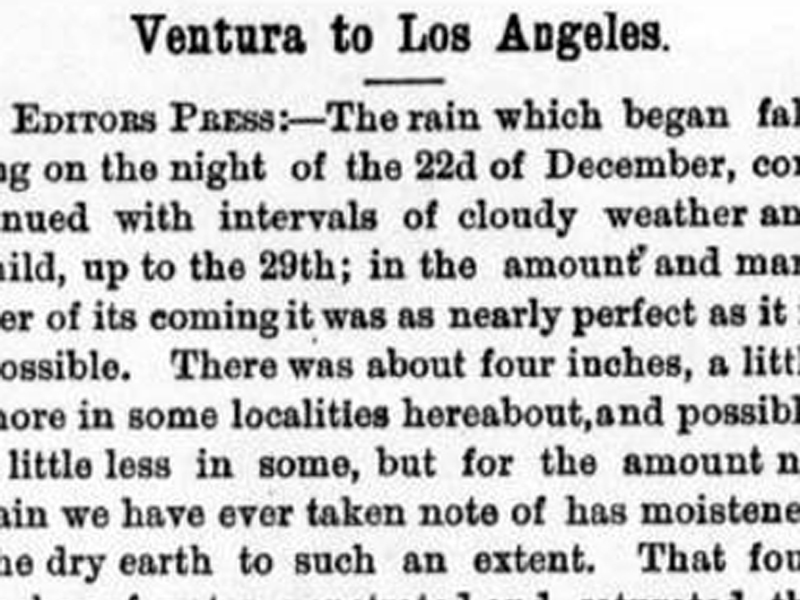 Correspondence of the Chronicle | San Buenaventura, May 24, 1877. And in a few hands, no stock ever having been sold or parted with, and being apparently managed on strict business principles. There has been no leakage, but a complete success. Their policy has been rather to keep things in the dark and prevent competition, not wishing to divide a good thing, and although pardonable in the light of self-interest, yet in the best interests of the State there should be fifty just such companies in operation today, whose chances would be just as good and success as certain as with this corporation, who for some time have had a monopoly of this oil business - controlling all the product here and, as I learn, also at Ventura, where they have another refinery. If our capitalists would but take a few days time and look at the oil prospects of this section it would not be long before these hills and valleys would echo to the noise of the engine and the drill, and a new world of wealth open to our State. The parties here connected with the Company, although apparently courteous, are yet very wary about giving information concerning the yield of their wells or the product they get, but the day for concealment has gone by. 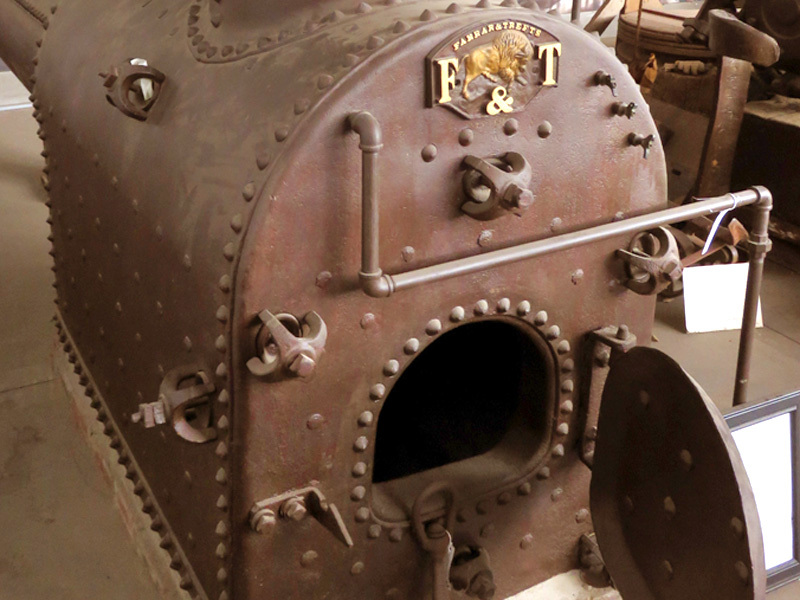 The railroad within twenty hours of their doors has made that impossible, and although they have a good start, yet rivals are only a question of time, and a short time at that. Oil lands have been concentrated here for some time, and I learn from the records that the large holders are F. B. Taylor & Co. of San Francisco, Colonel R. S. Baker of Los Angeles, and General Beale.